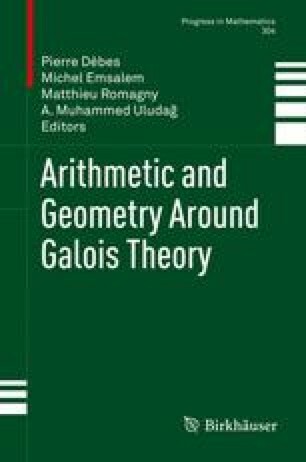 Between tradition (Hilbert́s 12th Problem) and actual challenges (coding theory) we attack infinite two-dimensional Galois theory. From a number theoretic point of view we work over ℚ(x). Geometrically, one has to do with towers of Shimura surfaces and Shimura curves on them. We construct and investigate a tower of rational Picard modular surfaces with Galois groups isomorphic to the (double) octahedron group and of their (orbitally) uniformizing arithmetic groups acting on the complex 2-dimensional unit ball 𝔹. Mathematics Subject Classification (2010). 11F06, 11F80, 11G18, 14D22, 14G35, 14E20, 14H30, 14H45, 14J25, 14L30, 14L35, 20E15, 20F05, 20H05, 20H10, 32M15, 51A20, 51E15, 51F15.